Karina's Kreations: Paper Pumpkin Kit! I wanted to share a quick tip with you. 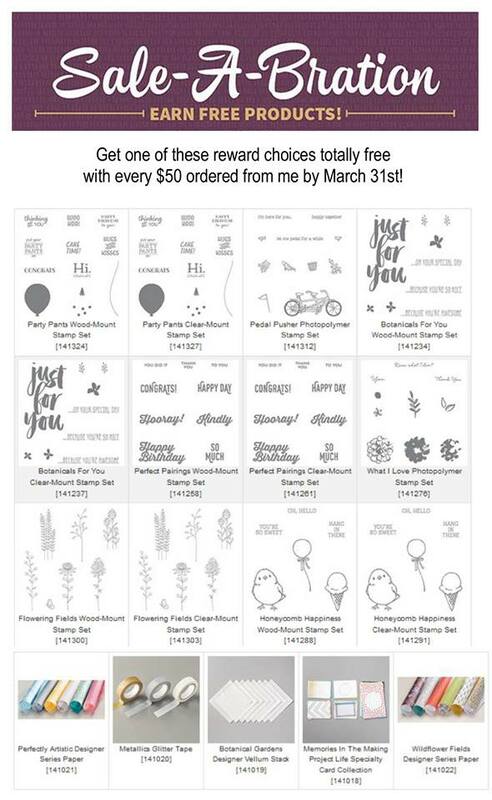 If you love getting surprises in the mail consider getting the April Paper Pumpkin Kit. Stampin'Up is putting a bonus stamp set in all the April kits but you have to sign up before April 10. Click here to sign up for paper Pumpkin! Email me at kchin2@telus.net to get the 3 month subscription. If you get the 3 month subscription now for $69.00, you get a free Sale-a-bration item. Sale-a-bration ends March 31. The chart says $50.00 but it's $60.00 in Canada just to let you know! Look at these fun choices. Here's a video for the March kit. I don't have any samples made because I sold my kit to my friend however as a subscriber I can order a refill kit which is on its way.